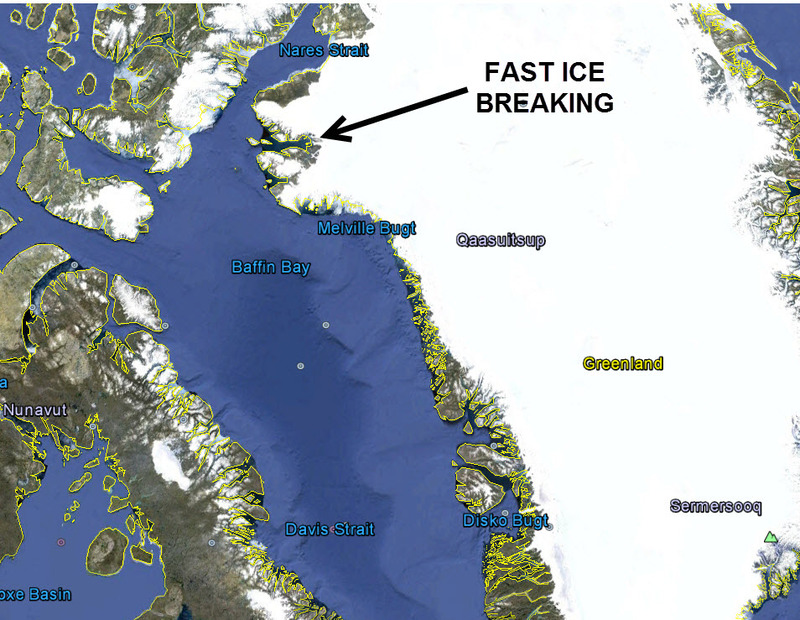 The Prince Gustav Channel was covered by an ice shelf which collapsed in the 1990's, and for many years it was possible to sail a ship around James Ross Island. Recently it has been covered with sea ice frozen to the land - we call this fast ice, and it's usually only a few metres thick of frozen sea water - rather than hundreds of metres thick snow derived ice shelf. 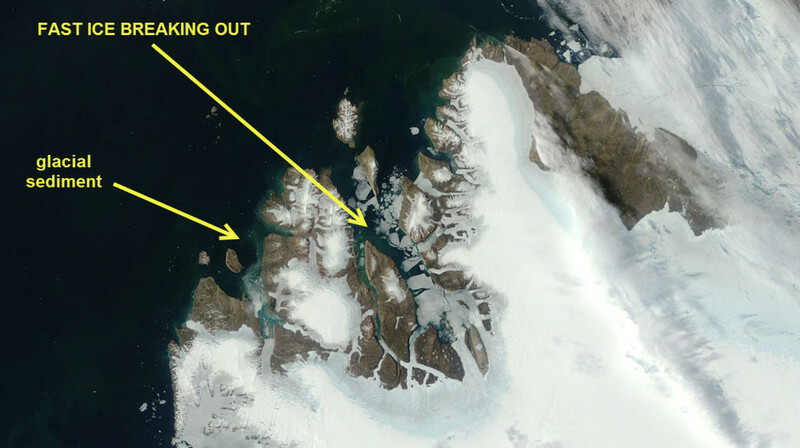 Recent images from the TERRA satellite show that this fast sea ice is finally breaking out. It'll soon be possible to circumnavigate James Ross Island once more. The Prince Gustav Channel early spring Antarctic summer 2016/7 from MODIS satellite imagery on the TERRA satellite. This map shows the location of the channel. The Antarctic Peninsula showing the location of the Prince Gustav Channel. Now it has started I wonder how long it will take to finally clear. Or more fun, I wonder if tour ships will be able to get around the island? Posted in Science. Tags: Antarctic Peninsula, fast ice, MODIS, Prince Gustav Channel, sea ice on November 14, 2016 by Mark Brandon.